Luke Brown’s visionary art (Spectraleyes) is an open portal into the higher-dimensions of our being. Riding on the wings of the creative imagination, Luke is being dreamed up as a medium, oracle and amplifier for a deeper process of awakening that is unfolding in the collective mind-field of our species. In creatively giving such unique and vivid shape and form to his inner experience, which is to say himself, Luke is stepping into the archetypal role of shaman and healer for the community at large, which in this case is the whole human species. A form of mystical activism, Luke’s work is an example, in full-bodied form, of how we can “conspire” – to breathe together – so as to “co-inspire” each other. Luke’s creative imagination truly sparks our own, which is to say that appreciating the creative spirit that moves through him is to appreciate, access, and en-liven our own. 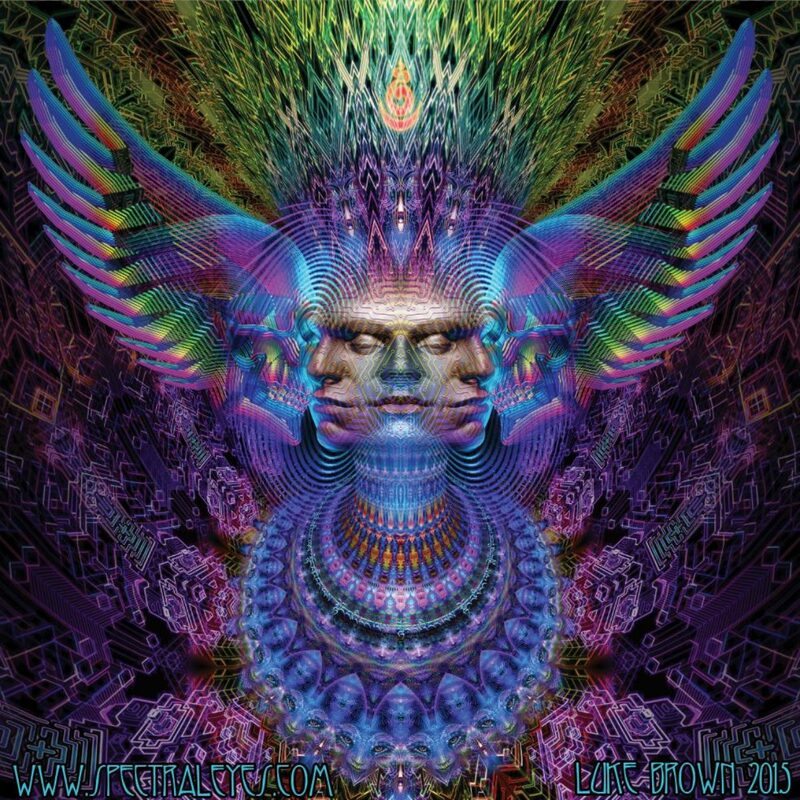 The art of Luke Brown by-passes the mind and speaks directly to the heart and soul of humanity itself, where it touches and activates something deep within us. “Psycho-activating” beyond belief, Luke’s art activates the psyche and stimulates our own dreaming imagination, a direct experience that, nonlocally speaking, leaves no one unchanged.